Things have changed around here! WordPress has a brand new dashboard, the colors have changed and I cannot recognize one freakin’ thing. This is bad, you guys- well, bad and good actually. We got back from India a month ago and I hit the ground running the minute we reached home. First, baby A fell sick with a tummy bug. She hit poopy land (erm, sorry for the graphic details. I have to get it off my chest some how) for quite a few days. Although the doc assured us that this will pass, things hit further rock bottom when I followed suit and fell sick with a viral. 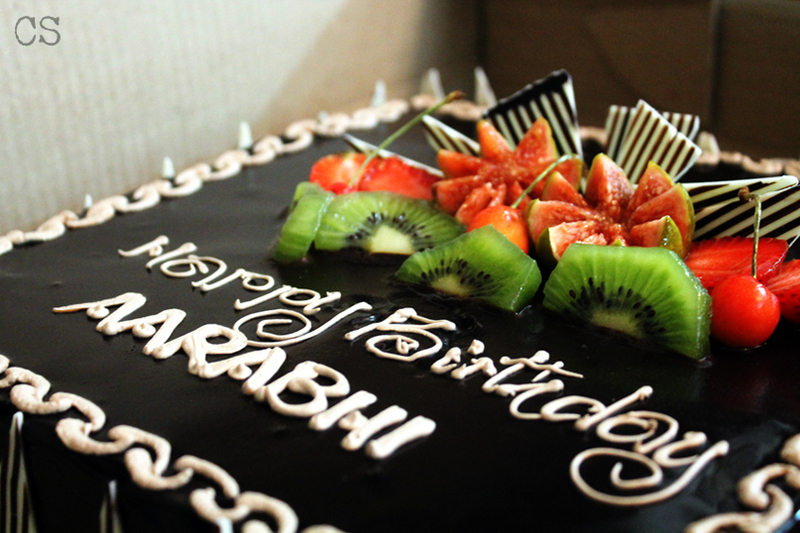 Yet another first birthday cake for Aarabhi. This one was for one of her numerous birthday parties in India. It was a chocolate mousse cake with fresh fruits. Yum! The hub, the father of my poopy pants daughter spent a couple of very busy days tending to us. As we recovered, my semester started and I had to look alive and start studying, an art I had conveniently forgotten over the summer. Weekends have been spent catching up with friends, promising to clean the very messy kitchen (a task I got done only today. Shudder!) and catching up on the sleep we have been steadily losing since the toddler decided to embark on her purple crying phase. 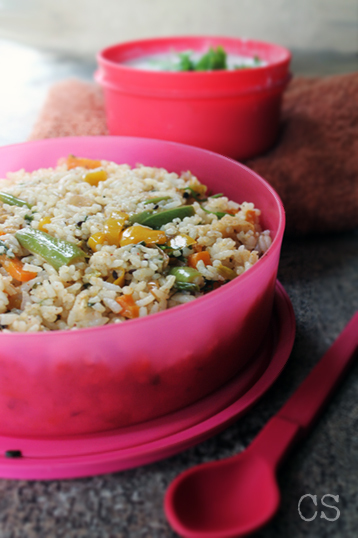 Kiran’s Lunch Box: My mother-in-law is probably the champ of making quick but delicious tasting lunches. This here was for the BIL. Oh, I forgot the day care fiasco! A had happily forgotten her beloved auntie and friends from daycare and we spent a tense couple of weeks getting her reacquainted. Although we were told that she adjusted way easier than some children do, I don’t think I have the strength in me to take her away for a month again! Yes, I cooked too. 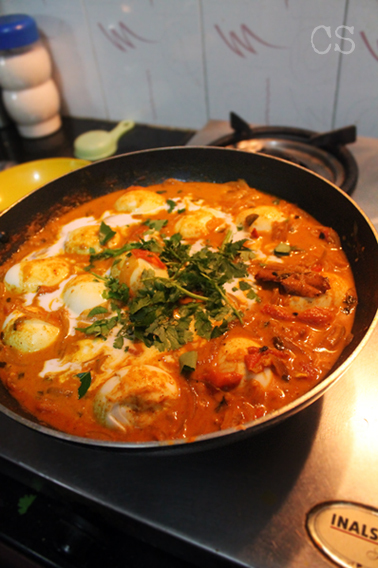 I made my Egg Korma with coconut milk for dinner and watched my mom and sister go crazy! Achievement unlocked. Ah, the month. It was a whirlwind romance for me with the city I love. Hot, humid, complex and cheerful Madras. So much has changed, I realized every minute of my stay there. But amidst the bustle all the new developments had brought, over the blare of the traffic honks and away from the blinking lights of the overly commercialized lifestyle that has become the new identity of my people, I recognized my old city, the one that will always be the love of my life. It was warm, it was inviting and it is a place I want to return to again and again. 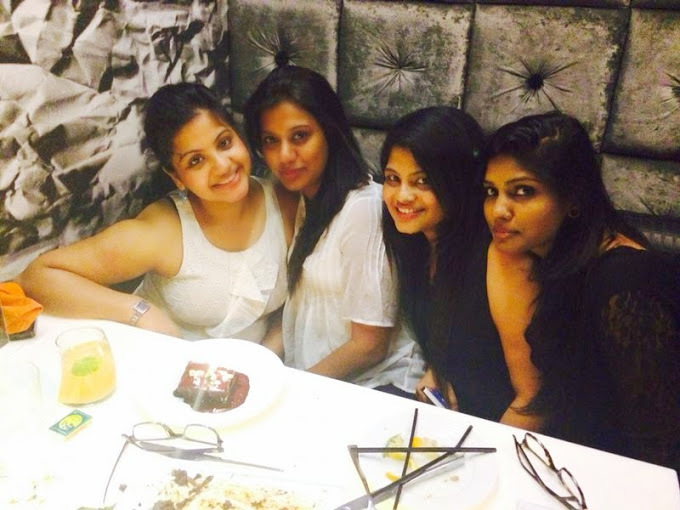 One of the best things to ever happen in so long was meeting all my ladies at the same time… after five long years! With my super-cool brother-in-law, drinking Paneer Soda, a local delicacy in one of the oldest cities in the world, Madurai. It happens to be the husband’s home city on his maternal side. Made with rose water, this fizzy drink is the best beverage I’ve tasted in so long! 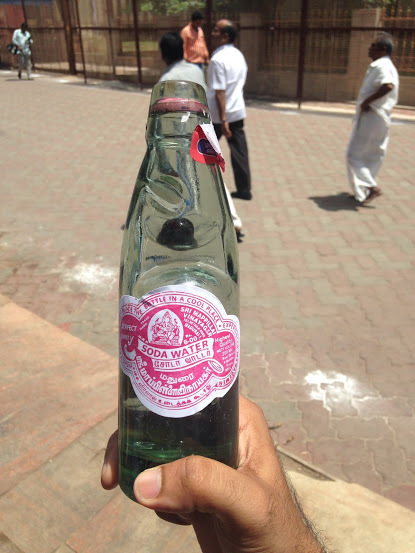 Another awesome drink from Madurai, the Goli Soda. Perfect for a hot summer day. I don’t regret the sore throat I acquired after. So with all this going on, I forgot that my blog existed. I have been cooking, I have been taking as many photos as my schedule lets me but while trying my best to keep up with Chefette Spicy, I have come to admit to myself the bitter truth- I cannot do this like I used to. This blogging thing became a full time job back when I could afford to spend time on it. But with a demanding course schedule, a baby who makes me want to spend all my free time with her- making dog and cat noises over and over again, and a non-demanding husband who deserves more attention from me than I seem to give, my blogging days might be coming to an end. I know that I might probably be undoing years of work I put into it. I cannot say it doesn’t make my heart feel cold and lonely. But I need to set my priorities right. So I might keep the blog running but it is going to be slow and updates might become sparse. Ah well, it has been a good run. Categories: amma, Chennai, City lights, Drink, Family, Food, From Amma's Trove, India, Indian, Marriage, Musings, Photography, Summer, Tropical | Tags: baby, birthday, course, egg korma, family, food, goli soda, home, india, lunch box, madurai, paneer soda, round up, sick, travel, trip | Permalink.